As I’ve blogged before, I started watching Doctor Who around 1983 or so. Back then, being a fan of the show could be frustrating. This was in the days before the BBC began releasing the show on videotape. The only episodes one could see here in the States were those showing on the local PBS channels. In my case, that was WLIW Channel 21, which was airing the Tom Baker and Peter Davison stories. As far as obtaining information on older Doctor Who, sources in the 1980s were limited. I had to rely on the Target novelisations, the occasional issue of Doctor Who Magazine that showed up in the comic shops, and the odd sci-fi reference book containing a few black & white photos offering tantalizing glimpses of 1960s and early 70s stories. Oh, yes, a couple of years later I got my hands on the two-volume Doctor Who Programme Guide by J.M. Lofficier. That was an invaluable wealth of information in those pre-Internet days. I read those two books so many times that my copies are totally dog-eared! In 1985, another PBS channel began airing the Jon Pertwee stories on Sunday mornings. I was thrilled to be able watch those early 1970s serials, many of which had been alluded to in the Peter Davison stories. But the material from the 1960s still remained beyond my grasp. Adding to my frustration was word-of-mouth from older fans who had seen those stories when they first aired. Those fans had such nostalgic memories of the material, and many held the opinion that then-current Doctor Who stories of the 1980s could not hold a candle to the William Hartnell and Patrick Troughton stories from two decades earlier. (I’ve mentioned before the phenomenon of “the memory cheats” cited by John Nathan-Turner, which of course turned out rather truthful. But back in the mid-1980s I had no choice but to rely on the opinions of people who had actually grown up watching the series in the 1960s). The difficulty with being able to view many of those early stories was that throughout the 1970s the BBC systematically erased or destroyed the majority of their master tapes for the early Doctor Who episodes, along with numerous other television programs. There were a few reasons for this. The BBC wanted to save on storage space. Also, contracts with unions typically prevented shows from being broadcast more than once or twice, as the feeling by organized labor was that reruns would rob actors of new jobs and income. Finally, no one had any idea that DVDs and Internet downloads would one day exist, providing the BBC with completely new distribution outlets, not to mention a huge source of revenue. So, back in the mid-1980s, it was commonly believed that the majority of the Sixties stories no longer existed. I resigned myself to the fact that I would never be able to watch “The Daleks’ Master Plan” or “The Evil of the Daleks” or “Tomb of the Cybermen,” serials which older fans decreed were The Greatest Doctor Who Stories Ever. What I didn’t realize was that, behind the scenes, both the BBC and fans of the show had begun searching for copies of the many missing episodes. By the 1990s, quite a few had been recovered, either from various foreign countries (many of the shows had been sold overseas by the BBC) or from really unlike locations such as church basements and the trunks of old cars. Hmmm, missing episodes, missing episodes…. I was certain that I wrote down where I put them somewhere in my 500 Year Diary! In my blog post Unearthing the Tomb of the Cybermen, I related how huge a deal it was when all four episodes of that story were discovered in 1992 in the archives of a Hong Kong television station. And by that time, I’d also had the opportunity to see a number of the other complete Sixties serials, which finally started airing on PBS around 1990. And I realized something: some of them truly were classics, but others were of variable quality, with a few being very mediocre, padded-out efforts. Which, really, is something you can say about most periods in the show’s history. Yes, even present day Doctor Who, which can range between the brilliant and the underwhelming. That said, it is a shame that such a significant number of early Doctor Who episodes are lost. I would like to be able to view them, and make up my own mind. When I wrote an earlier version of this post, back in January 2010, of the 253 episodes filmed in the Sixties, 108 were still missing from the BBC archives. The odds seemed slim that any more would surface. But the most recent discovery of a lost episode before that was only six years earlier, in 2004. So I observed it was conceivable that a few more episodes might be floating around somewhere in the world. And I was much relieved when, in December 2011, it was announced that two more episodes had been found, “Galaxy Four” part three and “The Underwater Menace” part two. At least now my earlier forecast didn’t seem quite so foolish! Fast forward to 2013. For months now, rumors have been circulating that a number of missing episodes had been unearthed. I really did not give these much credence because, let’s face it, the Internet is full of unverifiable “information.” But the gossip really gathered steam in the past month’s time, claims that the BBC had located a significant number of episodes and was sitting on the news in order to make a huge announcement. I totally dismissed out of hand the claim by UK tabloid The Mirror that “over 100 episodes” had been recovered. Not only was that number really unrealistic, the supposed source of this information was someone who heard it from a friend… who, in turn, probably heard it from another friend, and so on. And, y’know, The Mirror isn’t exactly known for its journalist excellence! Last night I arrived home from the New York Comic Con and immediately went online to see if the BBC had finally spilled the goods. Yes, at last they had. Eleven episodes had been located, lying forgotten in the storeroom of a Nigerian television station, and of these, nine were previously missing from the BBC’s archives. What was recovered was the entire six episode serial “The Enemy of the World” and five of the six episodes comprising “The Web of Fear.” Both of these starred Patrick Troughton, Frazer Hines, and Deborah Watling, and were originally broadcast during 1967-68, the show’s fifth season. I have got to say, this is really great news. Due to the manner in which the BBC sold Doctor Who abroad, there were far fewer copies of the stories from the third, fourth, and fifth years made and distributed. There is an excellent two-part article in Doctor Who Magazine #444 to 445 (March & April 2012) written by Richard Molesworth that explains the whys and wherefores of this situation in great detail. Suffice it to say, the end result of this was that much of William Hartnell’s third year on the series, and nearly all of Patrick Troughton’s first two years, have been lost for several decades now. 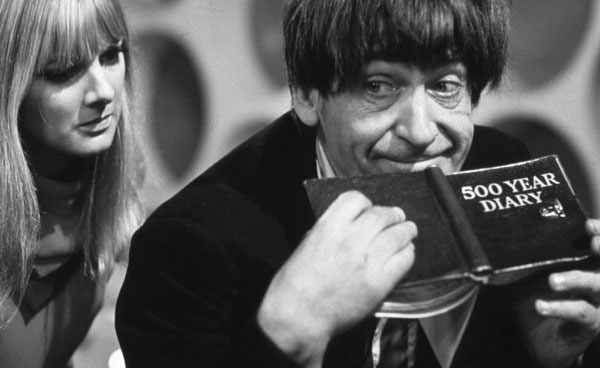 So to locate two of Troughton’s stories, one totally intact, the other nearly so, is a huge discovery. Optimism aside, I honestly thought it was unlikely that the missing episode count would ever dip below the 100 mark. But now it actually stands at 97. Look, Victoria, I’m telling you, I spotted some missing episodes over there. Or would you rather ask the Yeti that’s chasing us for directions? In any case, there are now even more opportunities to view the existing material from the Sixties. All of the complete stories have been digitally restored and released on DVD. Many of the episodes from incomplete serials are collected on the three-disk set Lost in Time, released in 2004. The nine newly found episodes are already available for digital download on iTunes, and apparently are racking up very impressive sales figures. Complete audio tracks exist for every episode due to fans copying them off their televisions with tape recorders during the original broadcasts. Several have been animated. And the majority of the episodes have various still pictures called “telesnaps” taken by John Cura in the 1960s. So it is possible to reconstruct the lost stories in one way or another. By the way, the online piece Snapshots in History is a very informative profile on Cura and his important work. Definitely take a look. And I must offer a big “thank you” to Vivian Fleming, who writes the excellent, entertaining WordPress blog The Mind Robber, for having posted a link to it. Anyway, in a dream world, what missing episodes would I like to see resurface? At the top of my list of Hartnell material would be the last episode of “The Tenth Planet,” which has the Doctor’s very first regeneration. That episode has been reconstructed via animation, but one day it would be nice to see the original. It would also be great if at least one of the seven episodes from the lavish historical serial “Marco Polo” from the show’s first season was discovered. It is very odd that none are currently known to exist, when practically the rest of the entire first year of Doctor Who is intact, except for two episodes from “The Reign of Terror.” I would also like to be able to see another completely missing historical story, “The Massacre,” which gave the spotlight to companion Steven Taylor, portrayed by Peter Purves. It also features an amazingly moving monologue by the Doctor in the last episode. And the final apocalyptic episode of “The Daleks’ Master Plan” sounds like it was amazing. Concerning the Troughton era of the show, I’d certainly be happy if any episodes surfaced from his debut adventure, “The Power of the Daleks,” as well as his second run-in with the fascist mutants from Skaro, “The Evil of the Daleks.” Also topping my wish list is “Fury from the Deep,” another story from season five. It is the only serial from that year of which no complete episodes are known to exist. Based on the very creepy, atmospheric novelization written by the original writer, Victor Pemberton, plus looking at a handful of very brief surviving clips & behind-the-scenes footage, it was probably a heck of a story. 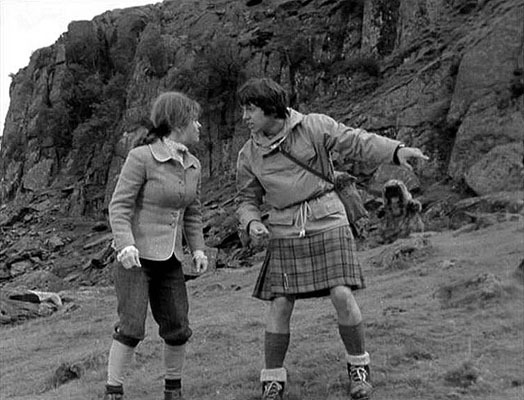 Finally, “The Highlanders,” which introduces long-time companion Jamie McCrimmon, played by Frazer Hines, would be a nice find. It is extremely unlikely that we will see the recovery of every single missing episode. I am sure that there are many that have been irrevocably lost. For instance, several different sources all agree that “The Daleks’ Master Plan” part seven is gone for good. Because it was a one-off Christmas interlude set in the middle of that mammoth twelve-part epic, the BBC considered it a throw-away episode. Consequently it was never offered up for sale anywhere in the world and it was wiped soon after it was broadcast in 1965. So, no, it really would be absolutely impossible to find every one of those 97 remaining missing Doctor Who episodes. That said, I still hope that a few more are out there, waiting to be discovered. But, in the meantime, let’s enjoy the ones we do have. What a great piece on the missing episodes! It was fantastic news that so many episodes had been found, like Christmas has come early for Doctor Who fans! I’ve watched both of them now and I have to say they are brilliant. So pleased that The Enemy of the World and The Web of Fear have been found, they are brilliant! At least this find gives us hope, however slim, that maybe more episodes might turn up one day. Like you, I’d be happy with any episodes, especially Marco Polo or Power of the Daleks. I still hold out hope that there are more episodes out there to be found, but I was thrilled with the discovery of these nine. I also agree with you one the episodes that I wish would be found. The last episode of “The Tenth Planet” and all of “The Power of the Daleks” would probably top my list. Sadly, these are considered to be among the least likely to be found because they were sold to so few countries. I also completely agree about “The Massacre.” It’s a fantastic story with just the audio, so I’d love to see it recovered. It’s really Steven’s story, although I would love to be able to see Hartnell’s double role as well. The ending is rather touching (and deals with very serious issues for a children’s program). The only bad part is that it is responsible for the introduction of Dodo to the Doctor.